for $264,900 with 3 bedrooms and 1 full bath, 1 three quarter bath. 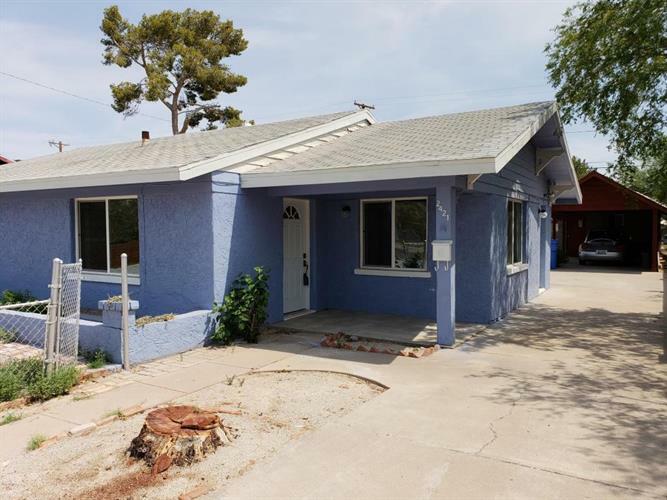 This 1,429 square foot home was built in 1945 on a lot size of 7784.00 Sqft. Charming 3 Bedroom, 2 Bath central Phoenix home, recently updated, painted throughout and move-in ready. Main living areas feature attractive Beam Ceilings. Kitchen with updated cabinets, Granite Counter Tops, Gas stove top, adjacent large Pantry and Laundry Room. Large Master Bedroom with updated Master Bath. Separate Covered Carport attached to storage or shop space located at side of big back yard. Back patio and low maintenance gravel yard front and back. Convenient to airport, freeways, shopping, restaurants and entertainment. New roof and AC unit.